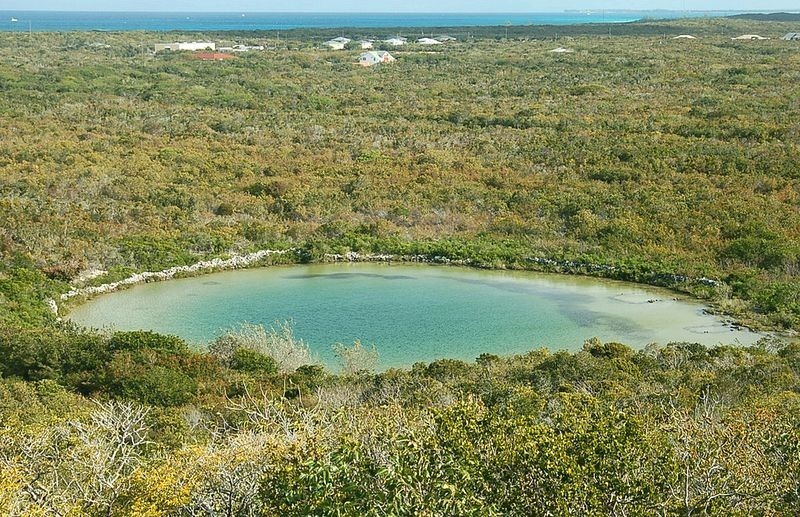 The Watling’s blue hole is located on the Bahamian island of San Salvador. The karst feature Watling’s blue hole is formed by the erosion of limestone, actually made of calcium carbonate, a mineral that can dissolve in water especially in acidic water. When the limestone dissolves, it gives off carbonic acid, and even more able to dissolve limestone. 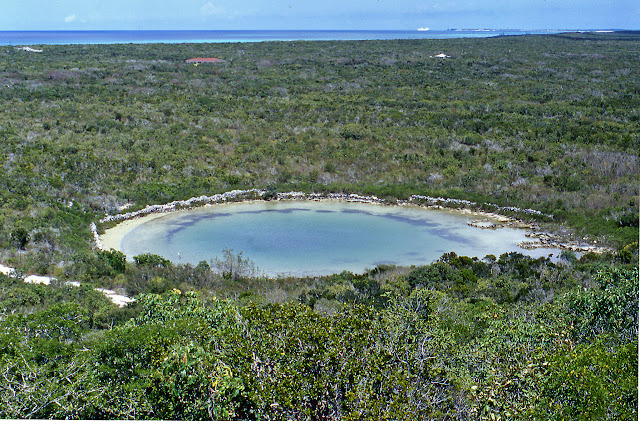 Once, the limestone dissolves the remaining part abruptly dissolves more, and result in formation of a deep blue hole around the spot where the limestone first began dissolving. 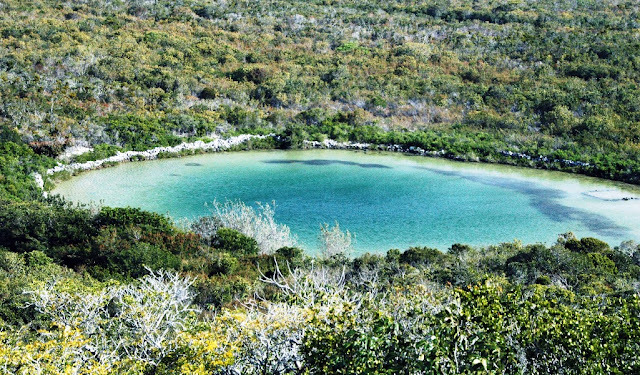 In fact, Watling’s Blue Hole has incredible water chemistry, has no fresh water anywhere not even a tiny lens on top. 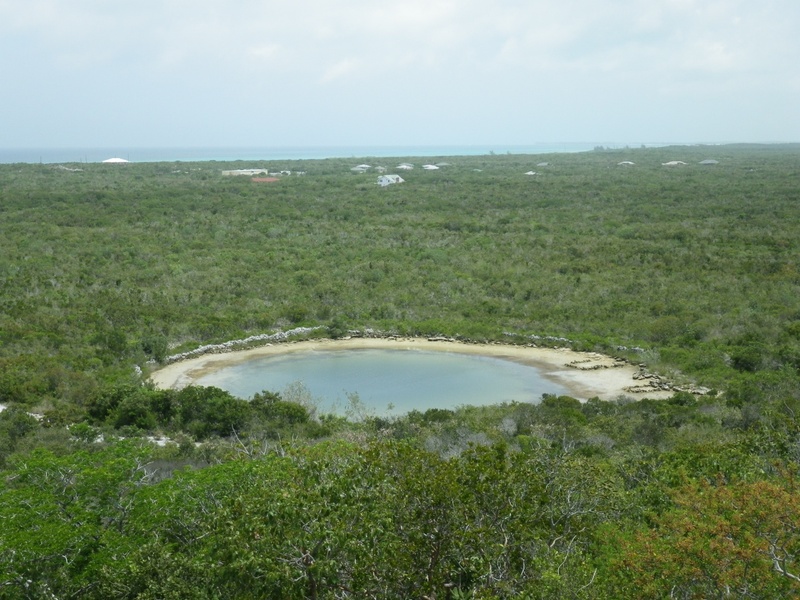 Therefore, this hole must link all the way to the ocean to let salt water flow in constantly to dominate the system. The blue hole is sitting in the middle of rainy Tropical Island, indicating that the hole must be connected to the ocean by an underground tunnel.